Fl 415610. Rare original emergency signal mirror carried by luftwaffe aircrew. 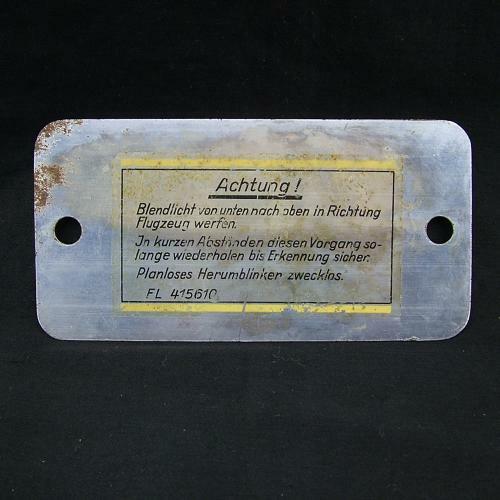 Rectangular, approximately 16 x 8cm, manufactured from polished steel with instructions for use on the back. The mirrored face is in good condition with light scratches and corrosion. The reverse also has marking and minor corrosion but the instruction decal is virtually complete and totally legible. Difficult to obtain. Stock code S23331.